Mobile Suit Gundam SEED Destiny: Attack! 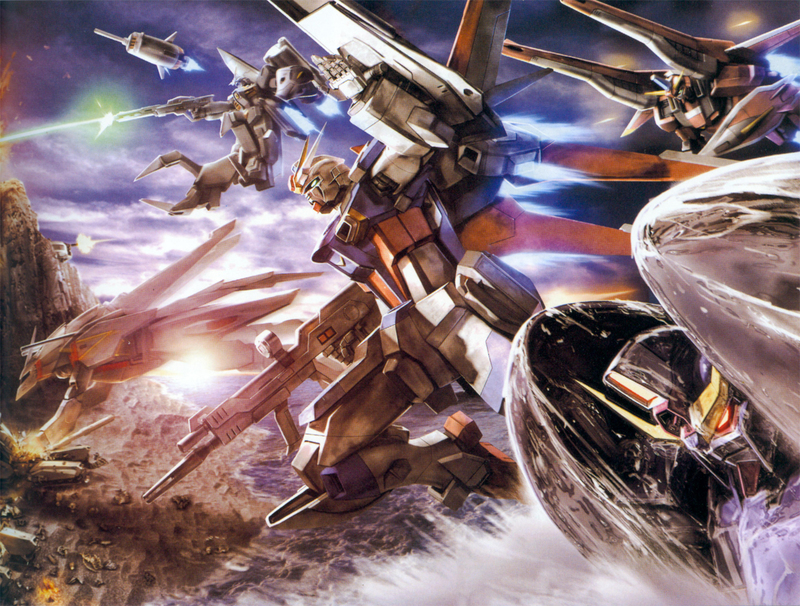 Minitokyo »	Mobile Suit Gundam SEED Destiny Scans » Mobile Suit Gundam SEED Destiny: Attack! Proposed by MapleRose and highlighted by Marissa. any idea who the artist is? and do you have any other scans from that book? dis is amazing. thx 4 sharing. Do you know what was the medium? this scan is really cool..
this scan is just amazing....i love it! awesome scan, thanks a lot! Dmn this is just so awesome.... thanks for sharing! That's quite a battle scene. No CG here, just old fashioned hand drawn art! Looks like Shinn and Athrun have joined the stolen Gundams.